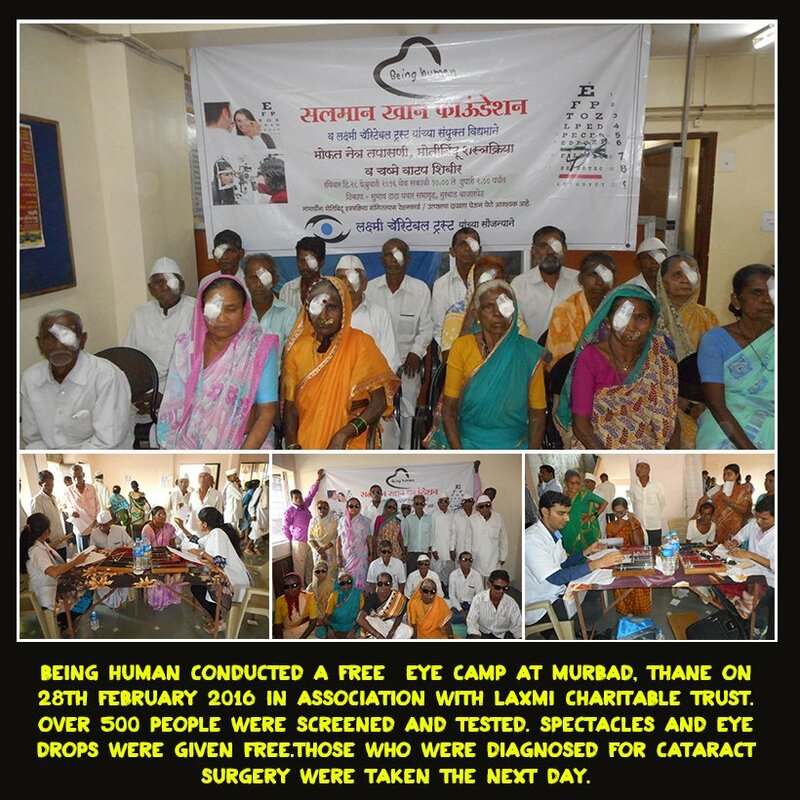 Salman Khan's Being Human conducted a free eye camp at Murbad, Thane on 28th feb where over 500 people benefited. Well let's hope he's freed so that it doesn't come down to that again. Achcha Hain ! Keep it up !!!!!!!!!!!!!! Well let the crime be proven.. Or in this context, Salman has pleaded guilty so it's upto him & his lawyers to prove his innocence. If this court doesn't get satisfied then we always have the higher court. Salman has told he'll fight till the end of it. As a fan, will support him. Bhai Aap bhi un 500 mein the? Ab maine aapke kya bigada hai ki mere aankhon ke peeche pade ho? Being Human Eye Camp: Heart touching initiative by Salman Khan during Bajrangi Bhaijaan shoot in Mandawa. Between 2013 and 2015, Salman Khan's Being Human clothing's sales turnover expanded nearly four times to Rs 235 crore from Rs 60 crore. Salman Khan's new photoshoot for Being Human Clothing.